The 2018 Dallas Cowboys built their success on defense. All season long, a unit that was expected to be decent turned out to be great. In fact, the Cowboys defense finished the year among the NFL's finest. On the other hand, offense was often a problem. Dak Prescott and company failed time and time again when in the red zone, making field goals and leaving points on the field a bad habit. Now that the NFL Draft is only weeks away, one would think it's time for the Cowboys to load up on offense. However, defense should be the priority in Dallas. Fortunately, the way the Cowboys approached free agency will allow the team to avoid reaching for any player at any given position. When they're on the clock, they'll be able to pick the best player available and improve the team properly. Safety remains the biggest team need at the moment. Don't get me wrong, I believe signing George Iloka was a great move. When the season begins he'll be 29 years old though, and Dallas will still be looking for a long-term answer for the position. Iloka is a decent starter and likely an upgrade over Jeff Heath, but the Cowboys need a young player to develop. With pick #58, the front office could target one of many safeties that will likely be available. Let's take a look at the trenches. The Cowboys' defensive line has talent, but they still need solid help in the interior and could always use more pass rushers. The team has guys who can play very well at defensive tackle, but perhaps not well enough to be every down starters. Antwaun Woods emerged out of nowhere to become a pretty solid player last year, putting up impressive numbers despite being a one-technique defensive tackle. Maliek Collins continues to be a starting-caliber player three years into his career. Tyrone Crawford can play as a DT as well, but you probably don't want him there full-time. The Cowboys have addressed the defensive line by adding Christian Covington and Kerry Hyder, who could play in the interior. But on defense, Dallas should be aiming to address this position early in the Draft. Next up I'd talk about the cornerbacks. Byron Jones is coming off from a career year which earned him second-team All-Pro honors. Chidobe Awuzie looked pretty good despite a few hiccups in 2018 and Anthony Brown bounced back from a poor 2017 campaign. Jourdan Lewis inexplicably saw his participation decrease significantly but can still provide help if needed. However, this unit is one injury away from being in serious trouble. The Cowboys need to address the lack of depth in the position by drafting a cornerback at some point of the Draft. Although it doesn't seem like a priority, I wouldn't be surprised if they pick one as soon as the second round if there isn't better talent at other positions. It's worth considering that Byron Jones is one of the main candidates to be left out if the Cowboys can't sign all of their stars awaiting an extension. 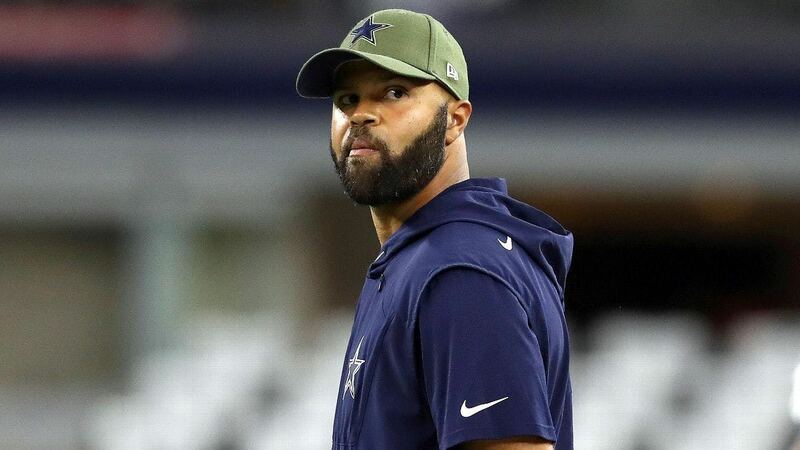 Rod Marinelli and Kris Richard truly earned the right to be heard in the upcoming Draft. Although the offense didn't deliver last season, get ready for a defense-focused Draft in Dallas. The biggest change we'll see on offense will be Kellen Moore taking over Scott Linehan at offensive coordinator. Tell me what you think about "Cowboys Draft: Defense Is The Way To Go" in the comments below, or tweet me @MauNFL and let’s talk football! If you like football and are looking for a Dallas Cowboys show in Spanish, don’t miss my weekly Facebook Live! show, Primero Cowboys!